The theater is a place for escape. 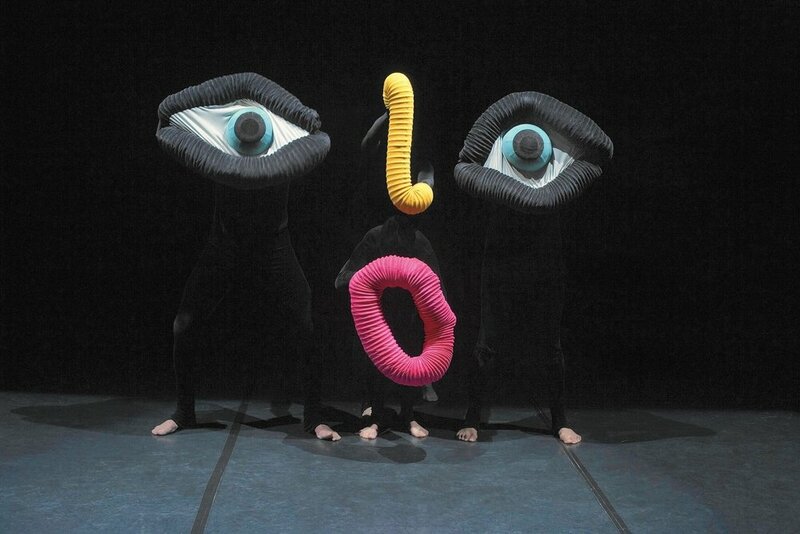 The brilliantly performed Swiss mask theater troupe Mummenschanz gifted us with a surreal, prop-oriented performance delighting our senses (in the dark) with poetic wordless art and the power of simplicity. The genius is this simple restraint, though we are immersed in emotion. Beth's Father used to take her to see the show as a child, and the performance stuck with her as an adult. She made sure we didn't neglect seeing it ourselves, after hearing the troupe would be on tour in our area. Mummenschanz began in Switzerland as three artists and hippies with counter-cultural ideas. Frassetto, Andres Bossard and Bernie Schurch also had an eye for trash. They recycled ventilation tubes into giant Slinkys they could crawl inside and animate on stage. They used toilet paper rolls, suitcases, masking tape, wads of clay — and they took their junk around the world.